Generation Identity’s ”Defend Europe” mission outsmarts Antifa and ‘’no-borders’’ flotilla waiting in Sicily – with last minute strategic decision to embark from Cyprus. As Europe vacations, a group of twenty-somethings have set sail across the Mediterranean on a mission to highlight the role of NGOs in ferrying hundreds of thousands of illegal immigrants from Africa into Europe. Portrayed by the mainstream media as an expedition motivated by ‘’hate’’, the ship chartered by European youth movement, Generation Identity, set sail early this week from Cyprus and is now charting course though international waters, The Gateway Pundit can reveal, en route towards the epicenter of Europe’s migrant crisis – coastal Libya. Following weeks of legal obstacles to the delivery of their vessel, and the freezing of their PayPal account, the ‘’identitarians’’ from Germany, Austria, France and Italy last month flew to the Sicilian port of Catania to commence their crowdfunded mission. Under surveillance, and fearing arrest by Italian authorities – and having been tipped off to the arrival of far left activists from across Europe – a last-minute decision was taken to join the ship in Cyprus, frustrating Antifa and no-borders activists intent on forming a welcoming committee to prevent the sailing. 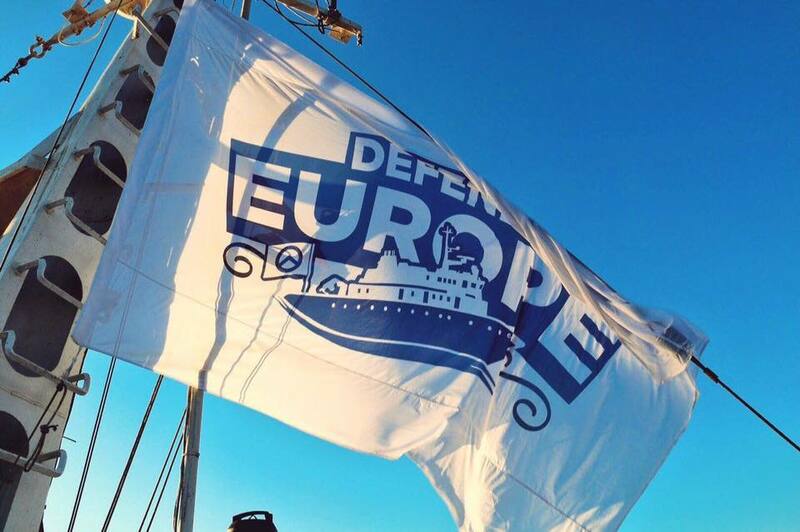 Taking inspiration from the successfully employed tactics of groups such as Greenpeace, the stated goal of ‘’Defend Europe’’ is to shed light on and document the activities of NGO ships on the Mediterranean, and to intervene when illegal activities are observed. Where migrants in distress are encountered, they will be rescued, the group assured The Gateway Pundit, and delivered to safe port in Libya – as opposed to Europe – an act NGOs are claiming would be in contravention of human rights laws. Abandoned boats will then be destroyed to prevent re-use by human traffickers. 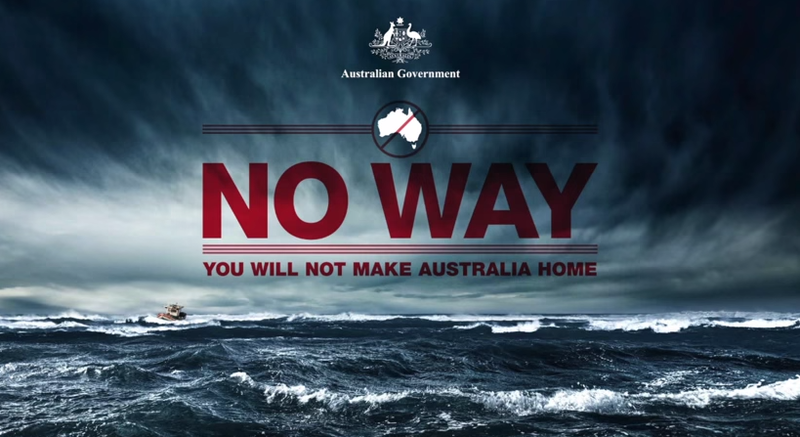 Pointing to the success of the Australian government’s “No Way’’ policy – under which any vessel seeking to illegally enter the country is intercepted and removed beyond Australian waters – Generation Identity say that a similar strategy on the Mediterranean is the only way to stop the escalating ‘’migratory invasion’’ and to prevent loss of life at sea. 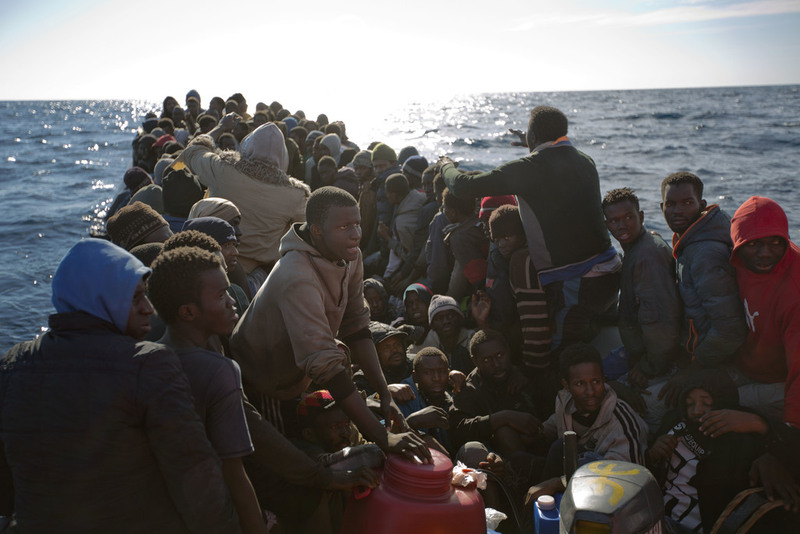 Traffickers are launching migrants from failed-state Libya in dangerously overcrowded dinghies and boats, which are then received by NGOs and European naval vessels which transport them to Italian ports. Over the past several years, NGO ships have been operating closer and closer to the Libyan coastline, in what has been condemned as a ‘’taxi service’’ responsible for luring ever increasing numbers of migrants to make the dangerous crossing – as 110,000 have already done this year. The NGOs claim their work is purely humanitarian. “We don’t know if Europe will remain an advanced and united continent or if it will be destroyed, as happened with the barbarian invasions”, toppled Libyan dictator, Colonel Gaddafi, dramatically warned a year before his execution at the hands of NATO-backed rebels. Whilst not yet in the millions, traffickers have transported over 600,000 migrants to Italian shores in the past four years, with estimates of those ready to cross in the short to medium term ranging from millions to tens of millions. A shift in Italian public opinion and panic on behalf of overwhelmed authorities have prompted recent action, however, including threats to grant migrants temporary visas to continue into northern Europe, and the drawing up of a code of conduct for NGOs operating at sea, which among other measures would oblige NGO vessels to allow armed Italian police on board. A number of French and German organizations have claimed they will not comply; Médecins Sans Frontières (Doctors Without Borders), SOS Méditerranée, Sea-Watch, Sea-Eye, and Jugend Rettet, a German NGO which on Wednesday had a ship seized for receiving migrants directly from traffickers for transport to Italy. Others including Lifeboat, Proactiva Open Arms and Save the Children say they will comply. Speaking to The Gateway Pundit, Generation Identity stressed that their mission is entirely legal and will remain so, despite ”fake news” stories alluding to Ukranian mercenaries on board, stories which almost sabotaged ‘’Defend Europe’’ due to increased controls during delivery of the vessel, in particular through the Suez Canal. Fake news will soon be further down the list of concerns, however, as significant dangers await, from Somali pirates and human traffickers on the one hand, to political pressure from the EU and well-funded NGOs on the other. As their contemporaries backpack and party at beach resorts and islands across the Mediterranean, the crew of this small vessel have chosen an altogether more controversial itinerary, one which will garner much media attention as they approach the North African coast and the ground zero of Europe’s continuing migrant crisis.